When my dad died I got a gun from him I think it is an American The Regent.22LR . It has Firearms International Corp on it along with the serial number. My problem is that it needs work and my gunsmith nor I can find what it needs or even a picture so maybe we can get the part made. It needs the firing pin and some kind of mechanism that goes around or near the cylinder to hold it in while firing. All we have been able to find out so far is that only about 150 were made of this kind. 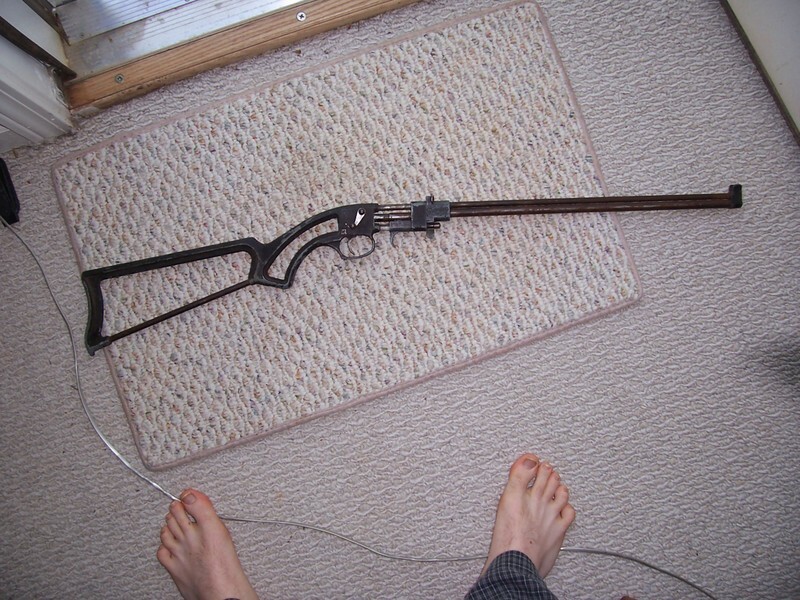 If anyone knows anything at all about this type of gun I would really appreciate the help. It means alot to me to get it working again. I would like to find out all the information on it that I can. Thank You for your time. Gday mate, welcome to THE site. Question is: do you want the gun to be in its original state or you want just to fire it? If you just want to fire it, it shouldn't be too hard for a good gunsmith to came up with some arrangement in lieu of the original stuff. Could you photograph the gun and the action? maybe we could help better..
Do you have a photo of this firearm? here is the photo, does yours looks like it? Welcome to Hunting Nut Trinity. I see none of these miserable buggers has offered you a beer so I'll look after that part of the welcome. Grab a beer or your drink of choice mate, pull up a stump and as Joe says...sit awhile. As the guys say...a pic or two would help...would give us something to go on and guide you in the right direction hopefully. Good morning Trinity. Any luck? I have another question for you fellas. Can anyone direct me to a place where I can find a manufacturing date by using the serial number on my Winchester rifle?? I have done this in the past and don't remember how I got there!! It has been a while! tnx up front!!!!! Sorry about that, it is a mod 60, and like I am I posted the wrong question!! I want to find out what it sold for in 1939 when it was made.!! How the hell should I know...?? MODEL 62!! NOT MY DAY FOR MEMORY!!!!!!!!! Same answer...Here I spent 15 minutes of MY life trying to find a site for you to look it up and you didn't want a date of manufacture, but a price when it was new. And you can't even identify it correctly!!! Yup, it is a bugger, but I told you I was !!! Sorry to make you work so hard for so little, but I hoped some one might have a 1939 catalogue!!!!!!! I will keep looking!! I know what I paid for my 94 in 1960. $50.00 and it was old even then.